Copyright © as noted on each article. Internal or personal use of this material is permitted. However, permission to reprint/republish this material for advertising or promotional purposes or for creating new collective works for resale or redistribution must be obtained from the copyright owner. By choosing to view one of these articles, you agree to all provisions of the copyright laws protecting it. Preprints available upon request. Christoforos N. Hadjicostis, Alejandro D. Domínguez-García, and Themistoklis Charalambous: "Distributed Averaging and Balancing in Network Systems with Applications to Coordination and Control", Foundations and Trends ® in Systems and Control, Vol. 5: No. 2-3, pp 99-292, 2018. This monograph focuses on the key operations of distributed average consensus and weight/flow balancing under a variety of communication topologies and adversarial network conditions such as delays and packet drops. Divided into two parts, Theory and Applications, it first provides the reader with thorough grounding into the theory underpinning the research before discussing two applications in detail. Namely, the coordination of distributed energy resources and the computation of PageRank values. Markus Fröhle, Themistoklis Charalambous, Henk Wymeersch, Siwei Zhang and Armin Dammann: "Formation Control of Multi-agent Systems with Location Uncertainty", Multi-Technology Positioning, Springer International Publishing, pp. 197-215, 2017. 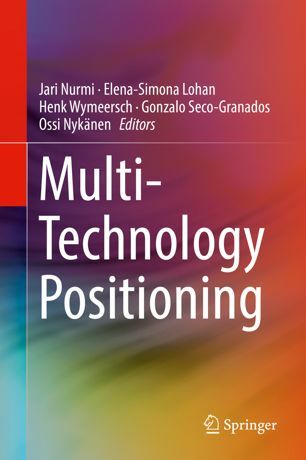 This book provides an overview of positioning technologies, applications and services in a format accessible to a wide variety of readers. Readers who have always wanted to understand how satellite-based positioning, wireless network positioning, inertial navigation, and their combinations work will find great value in this book. Readers will also learn about the advantages and disadvantages of different positioning methods, their limitations and challenges. Cognitive positioning, adding the brain to determine which technologies to use at device runtime, is introduced as well. Coverage also includes the use of position information for Location Based Services (LBS), as well as context-aware positioning services, designed for better user experience. Themistoklis Charalambous: "Power control in Wireless Ad-Hoc Networks: Stability and Convergence under Uncertainties", Optimization, Simulations and Control, Springer Series in Optimization and Its Application (SOIA), vol. 76, pp. 143-174, 2013. This volume brings together the latest developments in these areas of research and presents applications of these results to a wide range of real-world problems. 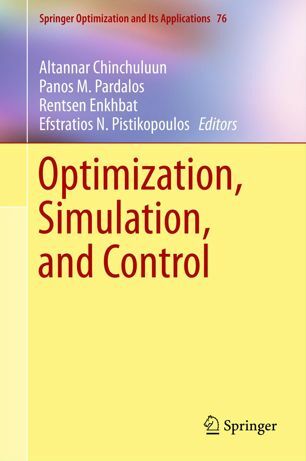 The book is composed of invited contributions by experts from around the world who work to develop and apply new optimization, simulation, and control techniques either at a theoretical level or in practice. Some key topics presented include: equilibrium problems, multi-objective optimization, variational inequalities, stochastic processes, numerical analysis, optimization in signal processing, and various other interdisciplinary applications. Themistoklis Charalambous, Su Min Kim, Nikolaos Nomikos, Mats Bengtsson, and Mikael Johansson: "Relay-Pair Selection in Buffer-Aided Successive Opportunistic Relaying using a Multi-Antenna Source", Ad Hoc Networks, 2018 (invited). Photios A. Stavrou, Themistoklis Charalambous, Charalambos D. Charalambous, and Sergey Loyka: "Optimal Estimation via Nonanticipative Rate Distortion Function and Applications to Time-Varying Gauss-Markov Processes", SIAM Journal on Control and Optimization (SICON), 2018 (to appear). Nikolaos Nomikos, Themistoklis Charalambous, Demosthenes Vouyioukas, George K. Karagiannidis and Risto Wichman: "Power Adaptation in Buffer-Aided Full-Duplex Relay Networks with Statistical CSI", IEEE Transactions on Vehicular Technology (TVT), 2018 (early access). Nikolaos Nomikos, Themistoklis Charalambous, Demosthenes Vouyioukas, and George K. Karagiannidis: "Low-Complexity Buffer-Aided Link Selection with Outdated CSI and Feedback Errors", IEEE Transactions on Communications (TCOM), 2018 (early access). Markus Fröhle, Themistoklis Charalambous, Ido Nevat, and Henk Wymeersch: "Channel Prediction with Location Uncertainty for Ad-Hoc Networks", IEEE Transactions on Signal and Information Processing over Networks (T-SIPN), vol. 4, no. 2, pp. 349-361, June 2018. Tahmoores Farjam, Themistoklis Charalambous, and Henk Wymeersch: "A Timer-Based Distributed Channel Access Mechanism in Networked Control Systems", IEEE Transactions on Circuits and Systems II: Express Briefs (TCAS-II), vol. 65, no. 5, pp. 652-656, May 2018. Srikar L. Muppirisetty, Themistoklis Charalambous, Johnny Karout, Henk Wymeersch, and Gabor Fodor: "Location-Aided Pilot Contamination Avoidance for Massive MIMO Systems", IEEE Transactions on Wireless Communications (TWC), vol. 17, no. 4, pp. 2662-2674, April 2018. Photios A. Stavrou, Themistoklis Charalambous, and Charalambos D. Charalambous: "Finite-Time Nonanticipative Rate Distortion Function for Time-Varying Scalar-Valued Gauss-Markov Sources", IEEE Control Systems Letters (L-CSS), vol. 2, no. 1, pp. 175-180, January 2018. Mario Zanon, Themistoklis Charalambous, Henk Wymeersch, and Paolo Falcone: "Optimal Scheduling of Downlink Communication for a Multi-Agent System with a Central Observation Post", IEEE Control Systems Letters (L-CSS), vol. 2, no. 1, pp. 37-42, January 2018. Alfréd Csikós, Themistoklis Charalambous, Hamed Farhadi, Balázs Kulcsár, and Henk Wymeersch: "Network traffic flow optimization under performance constraints", Elsevier Transportation Research Part C: Emerging Technologies, vol. 83, pp. 120-133, Oct. 2017. Ioannis Tzortzis, Charalambos D. Charalambous, Themistoklis Charalambous, Christoforos N. Hadjicostis and Mikael Johansson: "Approximation of Markov Processes by Lower Dimensional Processes via Total Variation Metrics", IEEE Transactions on Automatic Control, vol. 62, no. 3, pp. 1030-1045, March 2017. Zhenhua Zou, Anders Gidmark, Themistoklis Charalambous and Mikael Johansson: "Optimal Radio Frequency Energy Harvesting with Limited Energy Arrival Knowledge", IEEE Journal on Selected Areas in Communications (JSAC), vol. 34, no. 12, pp. 3528-3539, Dec. 2016. Nikolaos Nomikos, Themistoklis Charalambous, Ioannis Krikidis, Dimitrios N. Skoutas, Demosthenes Vouyioukas, Mikael Johansson and Charalabos Skianis: "A Survey on Buffer-Aided Relay Selection", IEEE Communications Surveys and Tutorials, vol. 18, no. 2, pp. 1073-1097, Secondquarter 2016. Themistoklis Charalambous, Michael G. Rabbat, Mikael Johansson and Christoforos N. Hadjicostis: "Distributed Finite-Time Computation of Digraph Parameters: Left-Eigenvector, Out-Degree and Spectrum", IEEE Transactions on Control of Network Systems, vol. 3, no. 2, pp. 137-148, June 2016. Michalis Kolossiatis, Themistoklis Charalambous and Etienne Burdet: "How Variability and Effort Determine Coordination at Large Forces", PLoS ONE 11(3): e0149512, March 2016. Themistoklis Charalambous, Ye Yuan, Tao Yang, Wei Pan, Christoforos N. Hadjicostis and Mikael Johansson: "Distributed Finite-Time Average Consensus in Digraphs in the Presence of Time-Delays", IEEE Transactions on Control of Network Systems, vol. 2, no. 4, pp. 370-381, December 2015. Ioannis Tzortzis, Charalambos D. Charalambous and Themistoklis Charalambous: "Dynamic Programming Subject to Total Variation Distance Ambiguity", SIAM Journal on Control and Optimization, vol. 53, no. 4, pp. 2040-2075, July 2015. Nikolaos Nomikos, Themistoklis Charalambous, Ioannis Krikidis, Dimitrios N. Skoutas, Demosthenes Vouyioukas and Mikael Johansson: "A Buffer-aided Successive Opportunistic Relay Selection Scheme with Power Adaptation and Inter-Relay Interference Cancellation for Cooperative Diversity Systems", IEEE Transactions on Communications, vol.63, no.5, pp.1623-1634, May 2015. Themistoklis Charalambous, Nikolaos Nomikos, Ioannis Krikidis, Demosthenis Vouyioukas and Mikael Johansson: "Modeling Buffer-Aided Relay Selection in Networks With Direct Transmission Capability", IEEE Communication Letters, Volume 19 (4), pp. 649-652, April 2015. Themistoklis Charalambous, Wolfram Wiesemann, Evelina Klerides, Angelos Vassiliou, Stavros Hadjitheophanous and Kyriakos M. Deliparaschos: "On the Minimum Latency Transmission Scheduling in Wireless Networks with Power Control under SINR Constraints", Wiley Transactions on Emerging Telecommunications Technologies, Volume 26 (3), pp. 367-379, March 2015. Hamid Reza Feyzmahdavian, Themistoklis Charalambous and Mikael Johansson: "Asymptotic Stability and Decay Rates of Homogeneous Positive Systems With Bounded and Unbounded Delays", SIAM Journal on Control and Optimization, Volume 52 (4), pp. 2037-2054, September 2014. Themistoklis Charalambous, Charalambos D. Charalambous and Farzad Rezaei: "Optimal Merging Algorithms for Lossless Codes with Generalized Criteria", IEEE Transactions on Information Theory, Volume 60 (9), pp. 5486-5499, September 2014. Charalambos D. Charalambous, Ioannis Tzortzis, Sergey Loyka and Themistoklis Charalambous: "Extremum Problems with Total Variation Distance and their Applications", IEEE Transactions on Automatic Control, Volume 59 (9), pp. 2353-2368, September 2014. Hamid Reza Feyzmahdavian, Themistoklis Charalambous and Mikael Johansson: "Stability and Performance of Continuous-Time Power Control in Wireless Networks", IEEE Transactions on Automatic Control, Volume 59 (8), pp. 2012-2023, August 2014. Nikolaos Nomikos, Demosthenis Vouyioukas, Themistoklis Charalambous, Ioannis Krikidis, Dimitrios Skoutas and Mikael Johansson: "Joint relay-pair selection for buffer-aided successive opportunistic relaying", Wiley Transactions on Emerging Telecommunications Technologies, Volume 25 (8), pp. 823-834, August 2014. Evangelia Kalyvianaki, Themistoklis Charalambous and Steven Hand: "Adaptive Resource Provisioning for Virtualized Servers Using Kalman Filters", ACM Transactions on Autonomous and Adaptive Systems, Volume 9 (2), pp. 10:1-10:35, July 2014. Apostolos Rikos, Themistoklis Charalambous and Christoforos N. Hadjicostis: "Distributed Weight Balancing over Digraphs", IEEE Transactions on Control of Network Systems, Volume 1 (2), pp.1-12, June 2014. Hamid Reza Feyzmahdavian, Themistoklis Charalambous and Mikael Johansson: "Exponential Stability of Homogeneous Positive Systems of Degree One With Time-Varying Delays", IEEE Transactions on Automatic Control, Volume 59 (6), pp.1594-1599, June 2014. Christoforos N. Hadjicostis and Themistoklis Charalambous: "Average Consensus in the Presence of Delays in Directed Graph Topologies", IEEE Transactions on Automatic Control, Volume 59 (3), pp.763-768, March 2014. Hamid Reza Feyzmahdavian, Mikael Johansson and Themistoklis Charalambous: "Contractive Interference Functions and Rates of Convergence of Distributed Power Control Laws", IEEE Transactions on Wireless Communications, Volume 11 (12), pp.4494-4502, December 2012. Nathanael Jarrasse, Themistoklis Charalambous and Etienne Burdet: "A Framework to Describe, Analyze and Generate Interactive Motor Behaviors", PLoS ONE 7(11): e49945, November 2012. Ioannis Krikidis, Themistoklis Charalambous and John S. Thompson: "Buffer-Aided Relay Selection for Cooperative Diversity Systems without Delay Constraints", IEEE Transactions on Wireless Communications, Volume 11 (5), pp.1957-1967, May 2012. Ioannis Krikidis, Themistoklis Charalambous and John S. Thompson: "Stability Analysis and Power Optimization for Energy Harvesting Cooperative Networks", IEEE Signal Processing Letters, Volume 19 (1), pp. 20-23, January 2012. Annalisa Zappavinga, Themistoklis Charalambous and Florian Knorn: "Unconditional stability of the Foschini Miljanic Algorithm", Automatica, Volume 48 (1), pp. 219-224, January 2012. Evangelia Kalyvianaki, Themistoklis Charalambous and Steven Hand: "Resource Provisioning for Multi-Tier Virtualized Server Applications", In the Computer Measurement Group Journal, 2010 (invited). Photios A. Stavrou, Themistoklis Charalambous, Charalambos D. Charalambous and Mikael Skoglund: "Asymptotic Reverse-Waterfilling Solution of Nonanticipative Rate Distortion Function for Vector-Valued Gauss-Markov Sources", in the IEEE Conference on Decision and Control (CDC), December 2018. Themistoklis Charalambous and Christoforos N. Hadjicostis: "Laplacian-based matrix design for finite-time average consensus in digraphs", in the IEEE Conference on Decision and Control (CDC), December 2018. Ilias Papastratis, Themistoklis Charalambous and Nikolaos Pappas: "Indoor Navigation of Quadrotors via Ultra-Wideband Wireless Technology", in the IEEE Conference on Advances in Wireless and Optical Communications (RTUWO), November 2018. Mohammad A. Nazari, Ayca Ozcelikkale, Mario Zanon, Themistoklis Charalambous, Jonas Sjöberg, and Henk Wymeersch: "Impact of Communication Frequency on Remote Control of Automated Vehicles", in the IEEE International Symposium on Personal, Indoor, and Mobile Radio Communications (PIMRC) - Workshop WS-03 "International Workshop on V2X Communications and Channel Modeling", September 2018. Nikolaos Nomikos, Nikolaos Pappas, Themistoklis Charalambous, and Yvonne-Anne Pignolet: "Deadline-constrained Bursty Traffic in Random Access Wireless Networks", in the IEEE International Workshop on Signal Processing Advances in Wireless Communications (SPAWC), June 2018. Charalambos D. Charalambous, Christos K. Kourtellaris, and Themistoklis Charalambous: "A General Coding Scheme for Signalling Gaussian Processes over Gaussian Decision Models", in the IEEE International Workshop on Signal Processing Advances in Wireless Communications (SPAWC), June 2018. Themistoklis Charalambous and Christoforos N. Hadjicostis: "When to stop iterating in digraphs of unknown size? An application to finite-time average consensus", in the European Control Conference (ECC), June 2018. Alfréd Csikós, Themistoklis Charalambous, and Balázs Kulcsár: "Towards a robust traffic admission control in homogeneous urban vehicular networks under QoS constraints", in the European Control Conference (ECC), June 2018. Tahmoores Farjam, Themistoklis Charalambous, and Henk Wymeersch: "A Timer-Based Distributed Channel Access Mechanism in Networked Control Systems", in the IEEE International Symposium on Circuits and Systems (ISCAS), May 2018 (invited). Mohammad Ali Nazari, Themistoklis Charalambous, Jonas Sjöberg, and Henk Wymeersch: "Remote Control of Automated Vehicles over Unreliable Channels", in the IEEE Wireless Communications and Networking Conference (WCNC), April 2018. Nikolaos Nomikos, Themistoklis Charalambous, Demosthenes Vouyioukas, George K. Karagiannidis, and Risto Wichman: "Relay selection for buffer-aided non-orthogonal multiple access networks", in the IEEE GLOBECOM Workshop on "Non-Orthogonal Multiple Access Techniques for 5G", December 2017. Demia Della Penda, Nikolaos Nomikos, Themistoklis Charalambous, and Mikael Johansson: "Minimum Power Scheduling under Rician Fading in Full-Duplex Relay-Assisted D2D Communications", in the IEEE GLOBECOM Workshop on "Full-Duplex Relaying and Applications", December 2017. Themistoklis Charalambous, Ayca Ozcelikkale, Mario Zanon, Paolo Falcone, and Henk Wymeersch: "On the Resource Allocation Problem in Wireless Networked Control Systems", in the IEEE Conference on Decision and Control (CDC), December 2017. Christakis Kallis, Kyriakos M. Deliparaschos, George P. Moustris, Avraam Georgiou, and Themistoklis Charalambous: "Incremental 2D Delaunay Triangulation Core Implementation on FPGA for Surface Reconstruction via High-Level Synthesis", in the IEEE International Conference on Emerging Technologies And Factory Automation (ETFA), September 2017. Evagoras Makridis, Kyriakos M. Deliparaschos, Evangelia Kalyvianaki, and Themistoklis Charalambous: "Dynamic CPU Resource Provisioning in Virtualized Servers using Maximum Correntropy Criterion Kalman Filters", in the IEEE International Conference on Emerging Technologies And Factory Automation (ETFA), September 2017. Themistoklis Charalambous, Su Min Kim, Nikolaos Nomikos, Mats Bengtsson, and Mikael Johansson: "Relay Pair Selection Using Phase-Alignment in Buffer-Aided Successive Opportunistic Relaying", in the First International Balkan Conference on Communications and Networking (BalkanCom), June 2017. Alfréd Csikós, Hamed Farhadi, Balázs Kulcsár, Themistoklis Charalambous and Henk Wymeersch: "Traffic flow optimization with QoS constrained network admission control", in the IFAC World Congress, July 2017. Nikolaos Nomikos, Themistoklis Charalambous, Demosthenes Vougioukas and George K. Karagiannidis: "LoCo-Link: A Low-Complexity Link Selection Algorithm for Delay Mitigation in Asymmetric Two-Hop Networks", in the IEEE Conference on Communications (ICC), May 2017. Ioannis Tzortzis, Charalambos D. Charalambous, and Themistoklis Charalambous, Christos K. Kourtellaris and Christoforos N. Hadjicostis: "Robust Linear Quadratic Regulator for Uncertain Systems", in the IEEE Conference on Decision and Control (CDC), December 2016. Photios A. Stavrou, Themistoklis Charalambous, and Charalambos D. Charalambous: "Filtering with Fidelity for Time-Varying Gauss-Markov processes", in the IEEE Conference on Decision and Control (CDC), December 2016. Themistoklis Charalambous, Christoforos N. Hadjicostis, Michael Rabbat and Mikael Johansson: "Totally asynchronous distributed estimation of eigenvector centrality in digraphs with application to the PageRank problem", in the IEEE Conference on Decision and Control (CDC), December 2016. Ioannis Tzortzis, Charalambos D. Charalambous, and Themistoklis Charalambous: "Infinite Horizon Discounted Dynamic Programming subject to Total Variation Ambiguity on Conditional Distribution", in the IEEE Conference on Decision and Control (CDC), December 2016. Kyriakos Deliparaschos, Themistoklis Charalambous and Evangelia Kalyvianaki: "On the use of Fuzzy Logic Controllers to Comply with Virtualized Application Demands in the Cloud", in the European Control Conference (ECC), June 2016. Dimitrios Poulimeneas, Themistoklis Charalambous, Nikolaos Nomikos, Ioannis Krikidis, Demosthenes Vouyioukas and Mikael Johansson: "Delay- and diversity-aware buffer-aided relay selection policies in cooperative networks", in the IEEE Wireless Communications and Networking Conference (WCNC), April 2016. Hamid Reza Feyzmahdavian, Themistoklis Charalambous and Mikael Johansson: "Delay-independent Stability of Cone-invariant Monotone Systems", in the 54th IEEE Conference on Decision and Control (CDC), December 2015. Ioannis Tzortzis, Charalambos D. Charalambous and Themistoklis Charalambous: "Infinite Horizon Average Cost Dynamic Programming subject to Ambiguity on Conditional Distribution", in the 54th IEEE Conference on Decision and Control (CDC), December 2015. Antonio Gonga, Themistoklis Charalambous and Mikael Johansson: "Fast information exchange in proximity-based multichannel wireless networks", in the 8th IFIP Wireless and Mobile Networking Conference (WMNC), October 2015. Ioannis Tzortzis, Charalambos D. Charalambous, Themistoklis Charalambous, Christoforos N. Hadjicostis and Mikael Johansson: "Approximation of Markov Processes by Lower Dimensional Processes", in the 53rd IEEE Conference on Decision and Control (CDC), December 2014. Themistoklis Charalambous and Christoforos N. Hadjicostis: "Average Consensus in the Presence of Dynamically Changing Directed Graph Topologies and Time Delays", in the 53rd IEEE Conference on Decision and Control (CDC), December 2014. Hamid Reza Feyzmahdavian, Themistoklis Charalambous and Mikael Johansson: "Sub-Homogeneous Cooperative Systems are Insensitive to Bounded Time-Varying Delays", in the 21st International Symposium on Mathematical Theory of Networks and Systems (MTNS), July 2014. Charalambos D. Charalambous, Themistoklis Charalambous and Christoforos N. Hadjicostis: "Team optimality conditions of differential decision systems with nonclasssical information structures", in the European Control Conference (ECC), June 2014. Themistoklis Charalambous, John Krikidis and Mikael Johansson: "Precoding Decision for Full-Duplex X-Relay Channel with Decode-and-Forward", in the IEEE International Communications and Mobile Computing Conference (IWCMC), August 2014 (invited). Themistoklis Charalambous, Christoforos N. Hadjicostis and Mikael Johansson: "Distributed Minimum-Time Weight Balancing over Digraphs", in the IEEE International Symposium on Communications, Control, and Signal Processing (ISCCSP), May 2014. Kyriakos Deliparaschos, Themistoklis Charalambous, Paul Christodoulides and Evelina Klerides: "Reduced power expenditure in the minimum latency transmission scheduling problem", in the IEEE International Symposium on Communications, Control, and Signal Processing (ISCCSP), May 2014. Nikolaos Nomikos, Themistoklis Charalambous, Ioannis Krikidis, Demosthenes Vouyioukas and Mikael Johansson: "Hybrid Cooperation through Full-Duplex Opportunistic Relaying and Max-Link Relay Selection with Transmit Power Adaptation", in the IEEE International Conference on Communications (ICC), June 2014. Themistoklis Charalambous, Ye Yuan, Tao Yang, Wei Pan, Christoforos N. Hadjicostis and Mikael Johansson: "Decentralised Minimum-Time Average Consensus in Digraphs", in the 52nd IEEE Conference on Decision and Control (CDC), December 2013. Hamid Reza Feyzmahdavian, Themistoklis Charalambous and Mikael Johansson: "Asymptotic Stability and Decay Rates of Positive Linear Systems with Unbounded Delays", in the 52nd IEEE Conference on Decision and Control (CDC), December 2013. Hamid Reza Feyzmahdavian, Themistoklis Charalambous and Mikael Johansson: "Asymptotic and Exponential Stability of a General Class of Continuous-Time Power Control Laws in Wireless Networks", in the 52nd IEEE Conference on Decision and Control (CDC), December 2013. Charalambos D. Charalambous, Ioannis Tzortzis, Sergey Loyka and Themistoklis Charalambous: "Extremum Problems with Total Variation Distance", in the 52nd IEEE Conference on Decision and Control (CDC), December 2013. Themistoklis Charalambous, Evangelia Kalyvianaki, Christoforos N. Hadjicostis and Mikael Johansson: "Distributed Offline Load Balancing in MapReduce Networks", in the 52nd IEEE Conference on Decision and Control (CDC), December 2013. Antonio Gonga, Themistoklis Charalambous and Mikael Johansson: "Neighbor Discovery in Multichannel Wireless Clique Networks: An Epidemic Approach", in the IEEE International Conference on Mobile Ad-hoc and Sensor Systems (MASS), October 2013. Nikolaos Nomikos, Themistoklis Charalambous, Ioannis Krikidis, Dimitrios Skoutas, Demosthenes Vouyioukas and Mikael Johansson: "Buffer-aided Successive Opportunistic Relaying with Inter-Relay Interference Cancellation", in the IEEE International Symbosium on Personal, Indoor and Mobile Radio Communications (PIMRC), September 2013. Nikolaos Nomikos, Demosthenes Vouyioukas, Themistoklis Charalambous, Ioannis Krikidis, Dimitrios Skoutas and Mikael Johansson: "Capacity Improvement through Buffer-Aided Successive Opportunistic Relaying", in the Global Wireless Summit (GWS), July 2013. Hamid Reza Feyzmahdavian, Themistoklis Charalambous and Mikael Johansson: "On the Rate of Convergence of Continuous-Time Linear Positive Systems with Heterogeneous Time-Varying Delays", in the 12th biannual European Control Conference (ECC), July 2013. Themistoklis Charalambous and Christoforos N. Hadjicostis: "Distributed Formation of Balanced and Bistochastic Weighted Digraphs in Multi-Agent Systems", in the 12th biannual European Control Conference (ECC), July 2013. Charalambos D. Charalambous, Ioannis Tziortzis and Themistoklis Charalambous: "Dynamic Programming with Total Variational Distance Uncertainty", in the 51st IEEE Conference on Decision and Control (CDC), December 2012. Iman Shames, Themistoklis Charalambous, Christoforos N. Hadjicostis and Mikael Johansson: "Distributed Network Size Estimation and Average Degree Estimation and Control in Networks Isomorphic to Directed Graphs", in the 50th Allerton Conference on Communication, Control and Computing, October, 2012. Evangelia Kalyvianaki, Themistoklis Charalambous, Marco Fiscato and Peter Pietzuch: "Overload Management in Data Stream Processing Systems with Latency Guarantees", in the Feedback Computing Workshop of the 9th IEEE/ACM International Conference on Autonomic Computing and Communications (ICAC), August, 2012. Angelos Vassiliou, Themistoklis Charalambous, Ioannis Krikidis and Evelina Klerides: "Towards Distributed Transmission Scheduling for Wireless Ad Hoc Networks", in The 8th International Wireless Communications and Mobile Computing Conference (IWCMC), 2012. Themistoklis Charalambous and Ioannis Krikidis: "Medium Access Control via Contention-Based Distributed Power Control", in The 8th International Wireless Communications and Mobile Computing Conference (IWCMC), 2012. Hamid Reza Feyzmahdavian, Mikael Johansson and Themistoklis Charalambous: "Contractive Interference Functions and Rates of Convergence of Distributed Power Control Laws", in The IEEE International Conference on Communications (ICC), 2012. Ioannis Krikidis, Themistoklis Charalambous and John Thompson: "Opportunistic Relay Selection for Cooperative Networks with Buffers", in The IEEE International Conference on Communications (ICC), 2012. Christoforos N. Hadjicostis and Themistoklis Charalambous: "Asynchronous Coordination of Distributed Energy Resources for the Provisioning of Ancillary Services", in the Allerton Conference, September 2011. Themistoklis Charalambous, Charalambos D. Charalambous and Farzad Rezaei : "Lossless Coding with Generalized Criteria", in the IEEE International Symposium on Information Theory (ISIT), July 2011. Themistoklis Charalambous and Evangelia Kalyvianaki : "A Min-Max Framework for CPU Resource Provisioning in Virtualized Servers using H-infinity Filters", In The 49th IEEE Conference on Decision and Control (CDC), December, 2010. Themistoklis Charalambous, Yassine Ariba : "On the Stability of a Power Control Algorithm for Wireless Networks in the presence of Time-Varying Delays", In The 10th European Control Conference (ECC), August, 2009. Evangelia Kalyvianaki, Themistoklis Charalambous and Steven Hand : "Self-Adaptive and Self-Configured CPU Resource Provisioning for Virtualized Servers Using Kalman Filters", In The 6th IEEE/ACM International Conference on Autonomic Computing and Communications (ICAC 2009), June, 2009. Evelina Klerides and Themistoklis Charalambous : "Transmission Scheduling in Wireless Networks with SINR Constraints", In The 5th International Conference on Networking and Services (ICNS), April, 2009. Themistoklis Charalambous, Ioannis Lestas and Glenn Vinnicombe : "On the Stability of the Foschini-Miljanic Algorithm with Time-Delays", In The 47th IEEE Conference on Decision and Control (CDC), December, 2008. Evangelia Kalyvianaki, Themistoklis Charalambous and Steven Hand : "Applying Kalman Filters to Dynamic Resource Provisioning of Virtualized Server Applications", In The Third International Workshop on Feedback Control Implementation and Design in Computing Systems and Networks (FeBid), June, 2008. Evangelia Kalyvianaki and Themistoklis Charalambous: "On Dynamic Resource Provisioning for Consolidated Servers in Virtual Data Centers", In The Eighth International Workshop on Performability Modeling of Computer and Communication Systems (PMCCS-8), September, 2007. Themistoklis Charalambous, Evelina Klerides and Wolfram Wiesemann: "On the Transmission Scheduling of Wireless Networks under SINR Constraints", CUED/F-INFENG/TR.649, February 2010. Themistoklis Charalambous: "A Lyapunov Krasovskii method for the stability of the Foschini-Miljanic algorithm under time-varying delays: An Independent of Delays approach", CUED/F-INFENG/TR.646, February 2010. Themistoklis Charalambous: "Power control in Wireless Ad-Hoc Networks", Trinity College, Cambridge University, 2010. Copyright © Themistoklis Charalambous. All rights reserved.